The London office of international architecture and design practice, Wilmotte & Associates, has started on site with King’s Cross Central, a 50,000m² mixed-use development adjacent to London’s St. Pancras International Station. The £80 million project for BNP Paribas Real Estate UK, on behalf of a private investor, sits within the Kings Cross masterplan. Located on a prime site, Kings Cross Central is surrounded by St. Pancras train station, German Gymnasium and the Stanley Building. Once complete, the development will comprise 37,500m² of office space over ten floors, and 17,500m² of retail across the ground and lower ground floors. There will be a 25m x13m atrium at the heart of the building, bringing natural light to each office level. 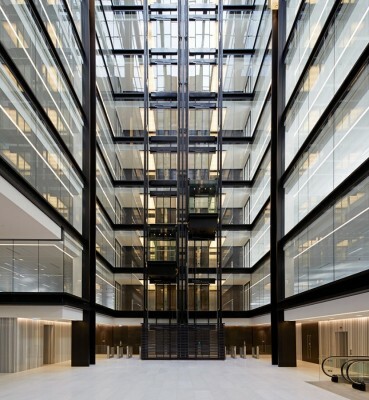 Around the atrium W&A has included transparent lift shafts and lift cars to offer internal and external views on ascent and descent. Wilmotte & Associates has designed the eighth and tenth floor roof spaces with timber decking and landscaping to allow office workers to enjoy being outside, as well as inside the building. On the eleventh floor there will be a brown roof providing a habitat for birds and insects. Kings Cross Central lies in the Kings Cross Conservation Area. The robust Victorian architecture of the surrounding buildings was a strong influence on the external appearance of Wilmotte & Associates’ scheme. There is mirrored use of load bearing masonry and the architects have designed the façade using mainly glass, metal and terracotta. The terracotta detailing is a unitised cladding system that reflects the existing architecture of those neighbouring buildings. It also provides contrasting texture to the glazed façade sections. The building is in King’s Cross’s low carbon energy centre and will be powered by a low carbon energy supply. Heat will be provided from a mixture of CHP, and gas and biomass boiler systems. It will be cooled with ultra-efficient ‘turbo core’ chiller systems. 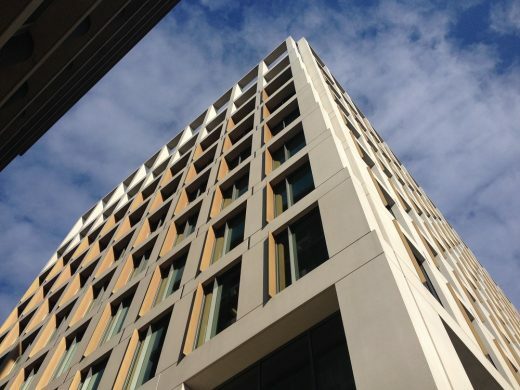 King’s Cross Central is expected to achieve BREEAM ‘Excellent’ and is due to complete in October 2014. Wilmotte & Associates is an international architecture and design practice. Founded by Jean-Michel Wilmotte in 1975, the practice provides services in architecture, urban planning, product design and museum design. Wilmotte & Associates has offices in France, London, Italy, Brazil and South Korea and employs 187 staff from over 20 countries.